PeakSight allows even unskilled users to efficiently operate the CAMECA SX microprobes. 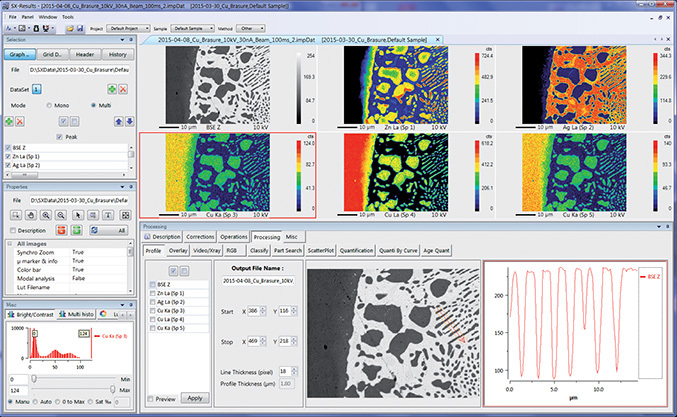 It supports the acquisition and analysis of data and images with unique tools and capabilities, from the first survey of the specimen through data export and report preparation. PeakSight is delivered with all CAMECA EPMA instruments. Upgrade kits are available for older SX models with SUN automation.